A 3. 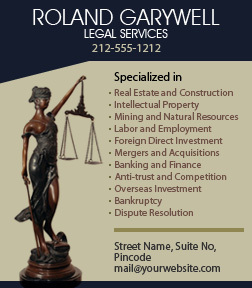 5 x 4 inches square corner law firm services magnet can be sought by law firms, which wish to create visibility for their services. Law firm services magnets can be offered as a business gift in any season, irrespective of any occasion, event or cause. Generally these magnets are favored by startup law firms or officials who wish to promote their services in low budget with minimum efforts.